It is nearly four years since I posted about Our Lady of Good Success and the apparitions to Mother Mariana de Jesus Torres (1563-1635) at her convent in Quito, Ecuador. I know that some of you may be nervous of new apparitions so let me assure you that this is a very long established devotion which was approved by the local bishop in the 17th century. William Oddie has brought out the significance of the revelations for our own time in an article for the Catholic Herald website. Our Lady spoke of moral decadence that would happen after the middle of the 20th century and said that her message would not become generally known until the 20th century. Here is a link to a good Q&A on the apparitions by Maria Horvat. 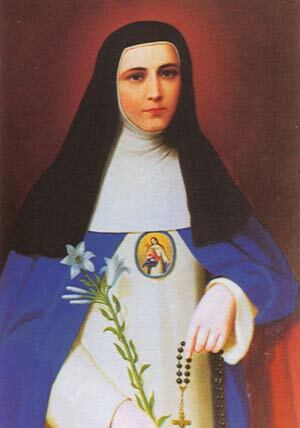 The story of Mother Mariana is mindblowing as is the accuracy of the revelations.